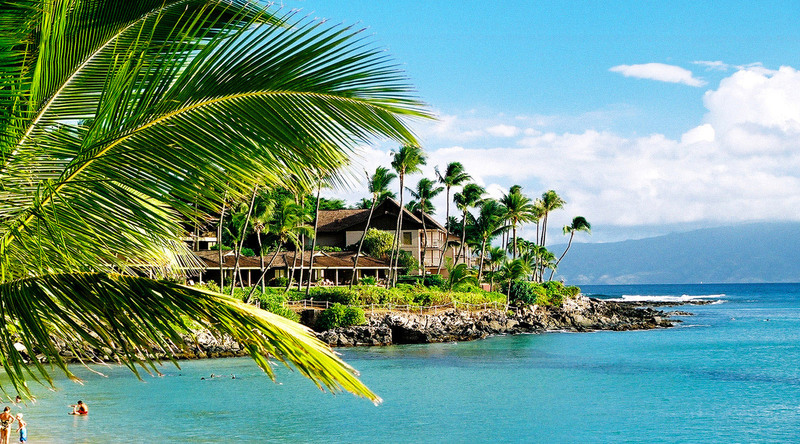 Your cruise to Maui takes you to the original seat of the Hawaiian Monarchy, Lahaina—a seaside town teeming with energy and one of four port calls to the main Hawaiian islands. Under warm sunny skies, explore its bustling narrow streets, seek out majestic North Pacific humpback whales, and uncover the stories of explorers from all around the world converging on the region throughout the years. With Mynah birds singing in the trees overhead, make your way along the harborfront up Front Street to indulge in eating, drinking, and merriment (all authentic Lahaina traditions). Chefs from across the world attracted by the sun and surf call Lahaina home, and they’ve brought their culinary talents with them. Don’t leave without trying ahi poke, a raw tuna dish perfected in this island paradise. Sun worshippers will want to make their way a few minutes up the coast to Black Rock Beach, where you can dig your toes in the sand or sit on the lava rocks for a spectacular view of the sparkling Pacific below. No visit to Maui is complete without a taste of Hawaiian history and culture at an Old Lahaina Luau. Explore human history on the island and learn to hula. Then, after you’ve worked up an appetite from dancing, feast your eyes on the Kalua pig being unearthed from the imu (a traditional underground oven), and prepare yourself for a meal to remember long after you set sail. Every year, humpback whales migrate to the waters off Maui to give birth to their calves. Having the opportunity to see one of these majestic leviathans as they crest the ocean waves is an experience even the most seasoned explorer won’t soon forget. The Banyan tree, from which the square gets its name, has become an unmistakable leafy landmark in Lahaina. In fact, this tree—spreading over the better part of an acre—is the largest tree in all of Hawaii. Singing birds and colorful characters keep the square lively all day long. West of Front Street toward Baby Beach is the Jodo Mission—a taste of Japan on the Island of Maui. A serene replica of an authentic Buddhist temple, Jodo is home to one of the largest statues of the Buddha located outside of Asia and is a peaceful escape from the hustle and bustle of this vibrant port town. Dive 125 feet below the surface in a high-tech Atlantis submarine, getting a glimpse of Hawaii's tropical fish, coral reef, and breathtaking coastline. Leave behind the well-trod path, discovering the unspoiled beauty of Maui's undeveloped east coast and the secluded town of Hana. See humpback whales in their natural environment on this whale watching expedition.